UPDATE: Thanks to our wonderful community, we reached (and even surpassed) our Be A Hero fundraising goal for 2018. You are our heroes! ¡Mil gracias! Be A Hero 2018 Is On! Be A Hero is our biggest fundraiser of the year. This is when we raise most of the money for the wonderful programs the PTA supports. From our library and teachers to bringing Arts and Music into the classroom, the PTA is here to support and nurture all of our children. Our goal this year is to raise $85,000 by December 31st. Please help us reach our goal. Use the buttons below to donate online via Facebook or PayPal. (We prefer Facebook, because PayPal takes a cut.) You can also write a check payable to Fairmount Elementary PTA or give cash. There’s a white box labelled PTA just outside the school office where you can drop off your donation. Thank you for supporting our wonderful school! 1. What is Be A Hero? 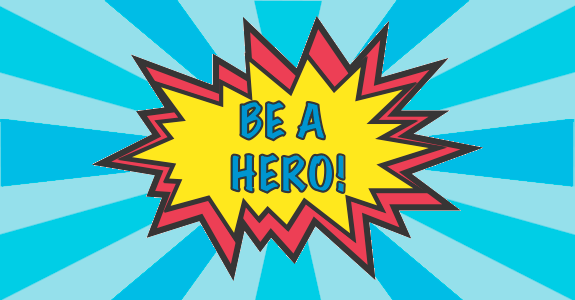 Be A Hero is our annual fundraising campaign. It is our biggest, most straightforward fundraiser. No selling chocolate or cookie dough, just donate! 2. How do I donate? Donate online using Facebook or PayPal — or drop a check or cash off in the school office. 3. How can I help? Spread the word. Grandparents, Friends or Co-Workers can all donate. Share this page and our Facebook fundraiser and encourage people to give. 4. Where does the money go? Arts, Science, Garden, Field Trips, Books, Special Projects, Teacher Support, Baile Familiar, Dia de Los Ninos, Fiestaval and more! 6. Is my donation tax deductible? Yes. We are a 501(c)(3) non-profit organization, and donations are tax-deductible.